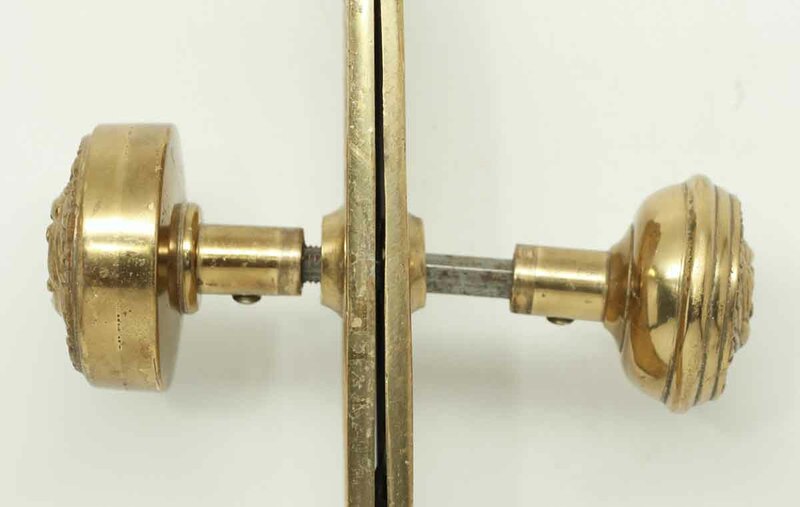 This set was made by Barrows in 1900. 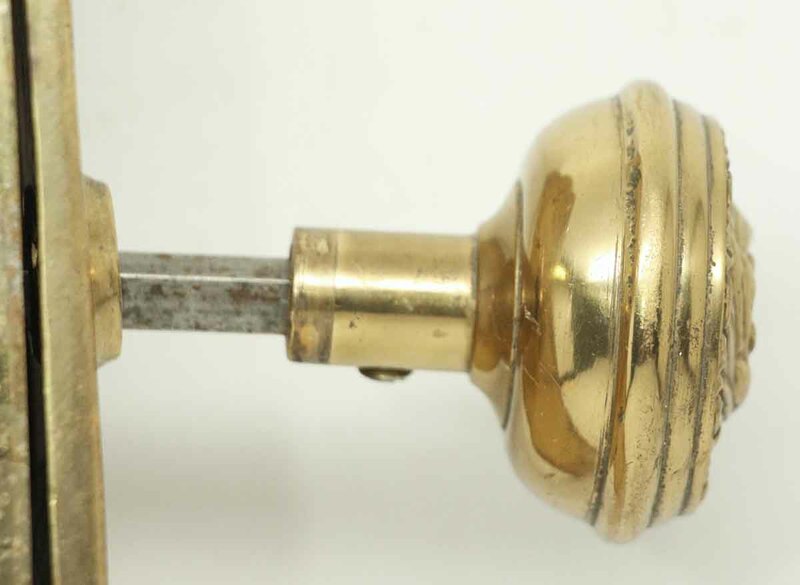 The knob is part of the E-13000 Arcola group. 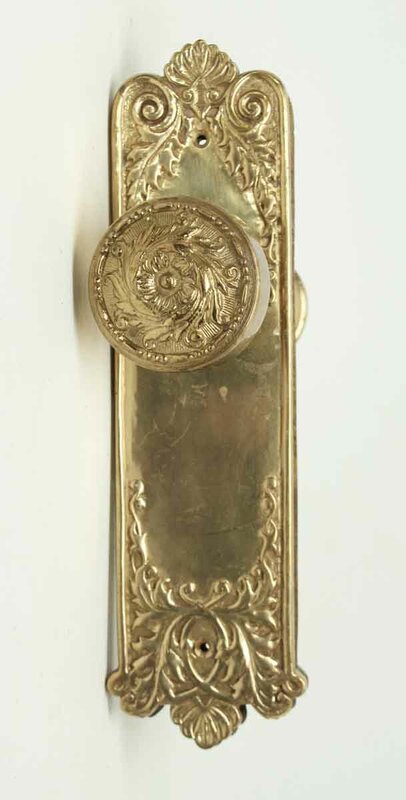 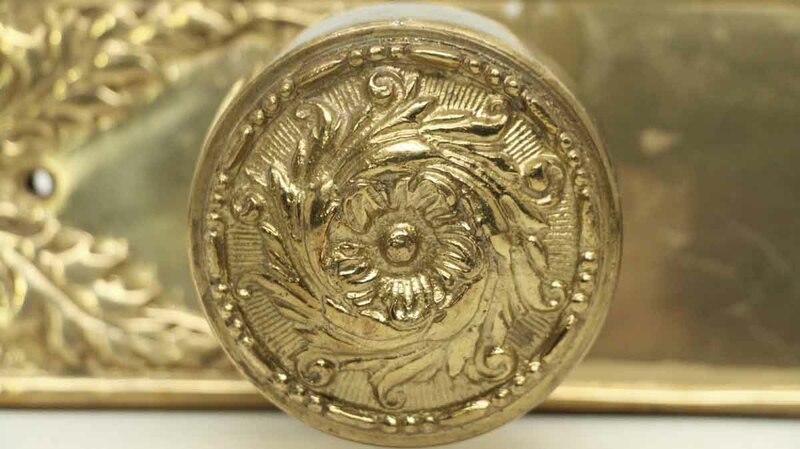 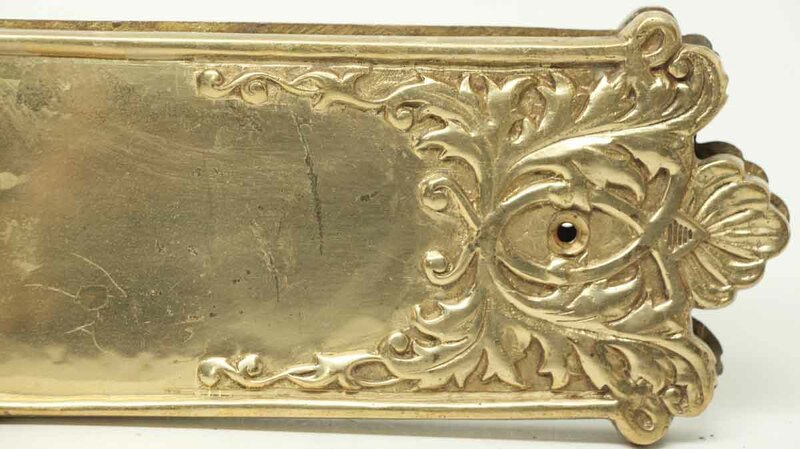 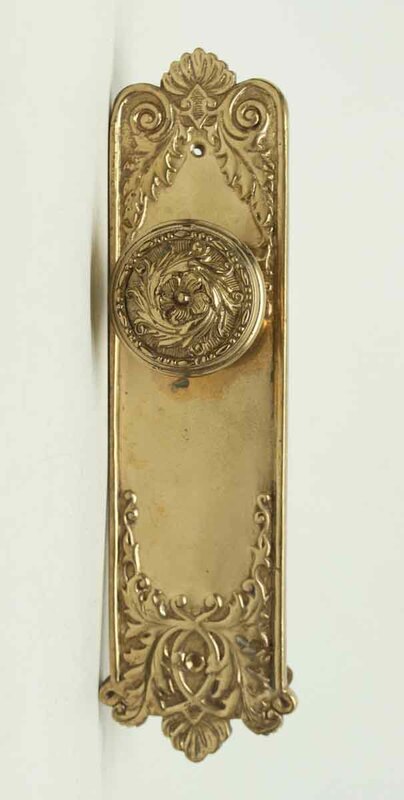 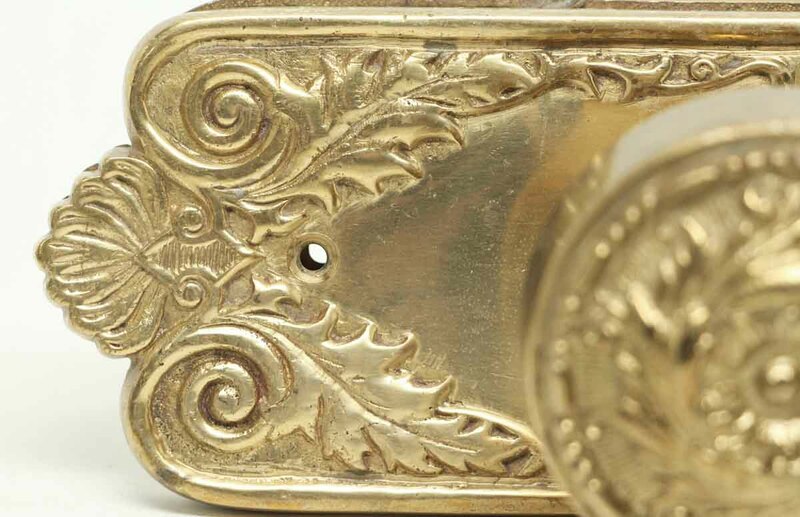 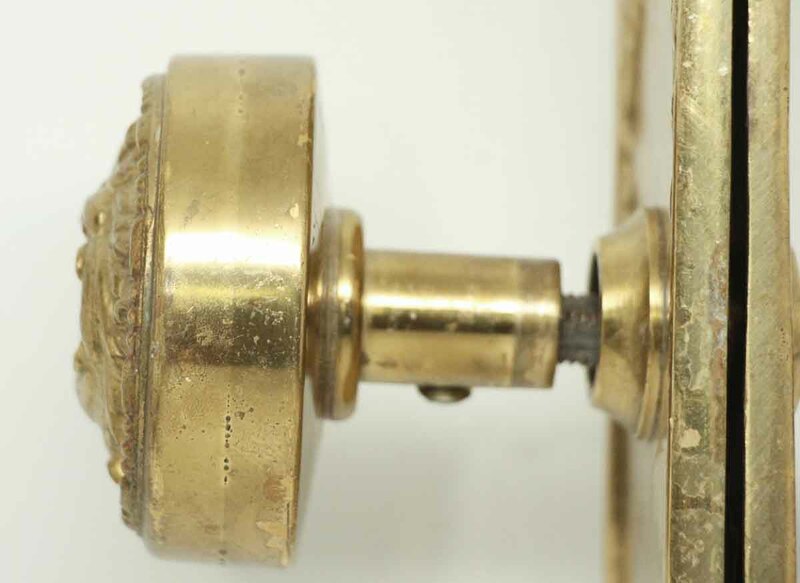 Set includes one pair of bronze doorknobs and one pair of back plates. 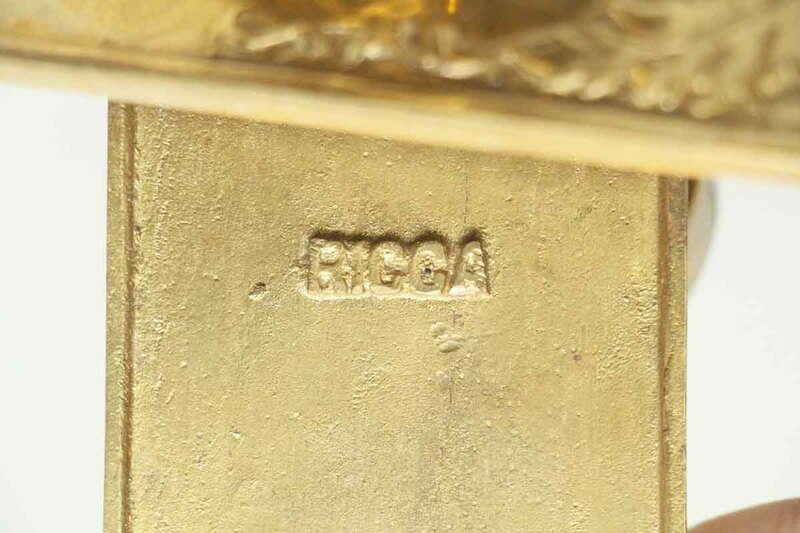 Plates inscribed Ricca.